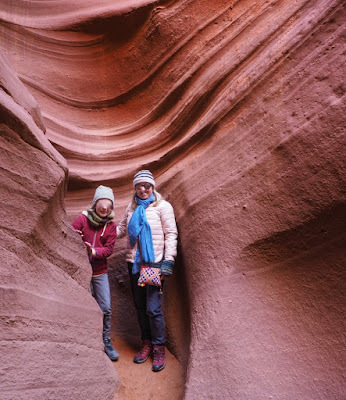 A twisted, bizarre, but oh-so-beautiful slot canyon in the Arizona desert. Because this is your chance to experience an LSD trip without actually taking any drugs. 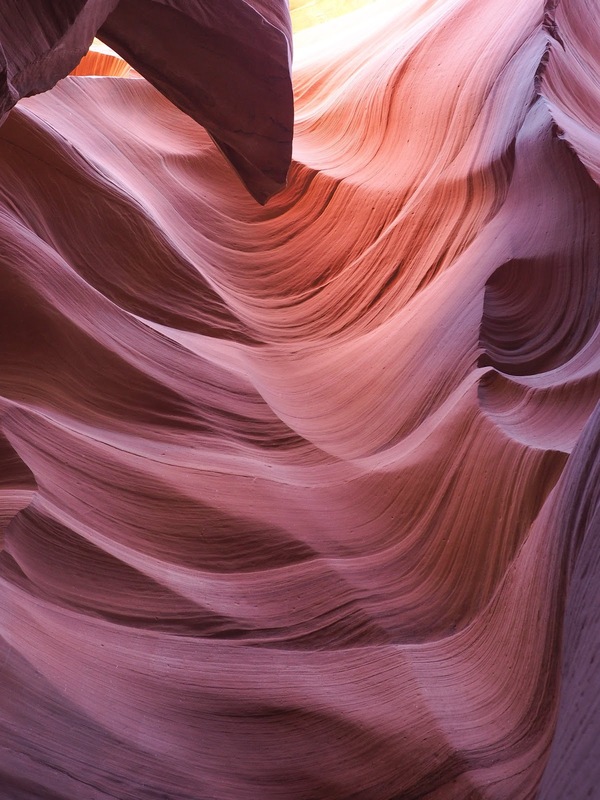 Not for the claustrophobic, this is a technicolour hallucination of swirling rock, a giving a totally new meaning to the phrase 'desert trip'. Near Page, Arizona, about 2 hours north of the Grand Canyon. Map. YOU'VE HEARD of the Grand Canyon. 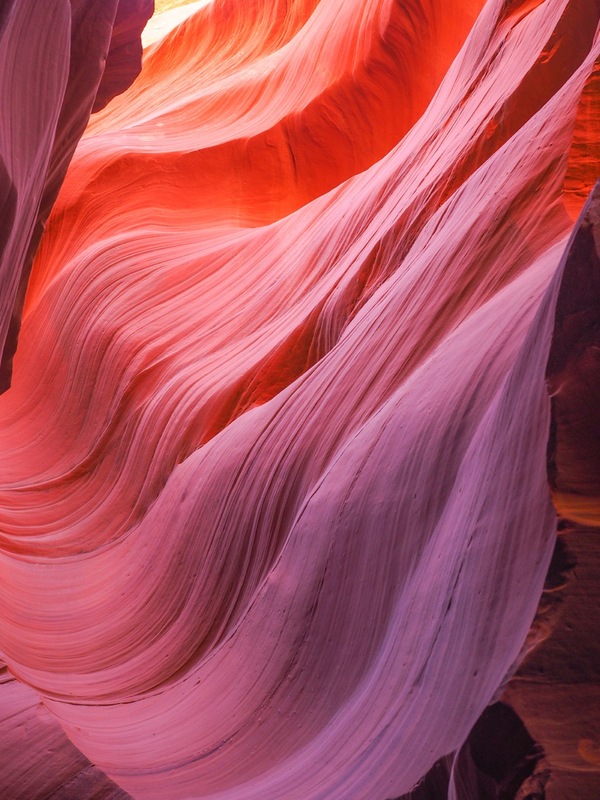 But have you heard of Antelope Canyon? Millions of people flock to Arizona every year to see what's perhaps the US's best known natural sight: the Grand Canyon. 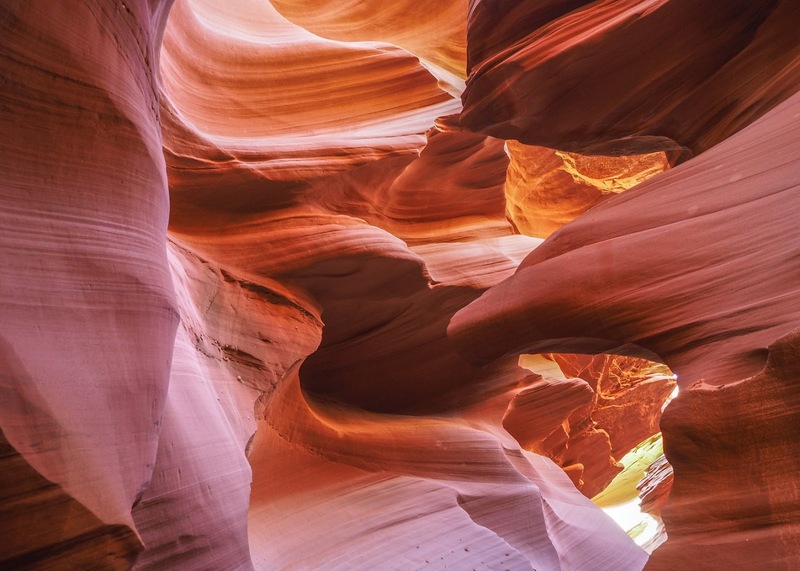 But Arizona has other canyons on offer, and Antelope offers a complete and utter contrast to its world-famous Big Brother. 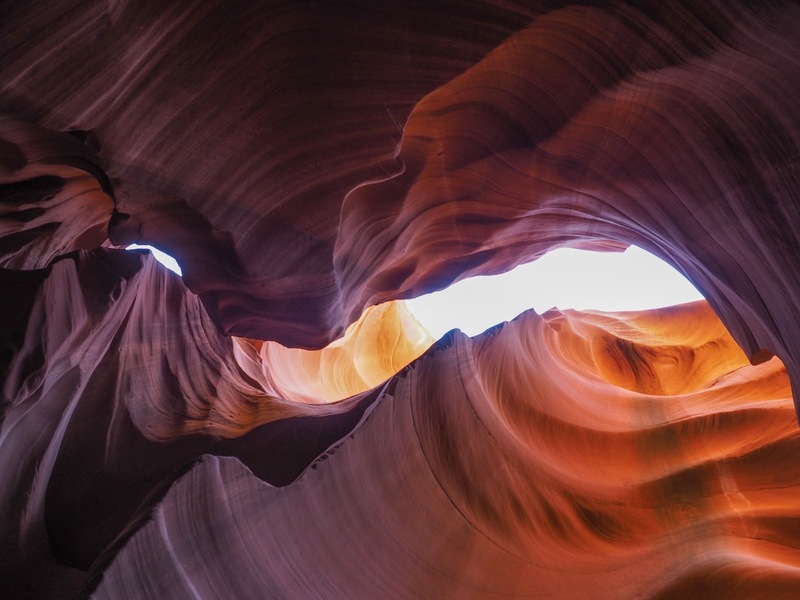 Instead of offering miles of wide open vistas, Antelope puts you in a claustrophobic tight spot. And whereas most people experience the Grand Canyon from the rim, without ever descending into the Canyon itself, the only way to experience Antelope is to connect with your inner spelunker, and set foot on the bottom of this narrow crack in the earth. Granted, you won't be the only one visiting here. It's a small place, which means all visits have to be pre-booked and you'll descend the Canyon in a group, herded by a local guide. 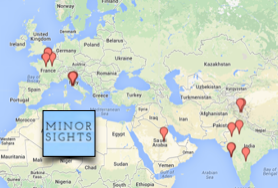 Admittedly, that's not something we usually do at Minor Sights. But given the uniqueness of this sight, it's a compromise worth making. Everything you see will be shades of red and orange- with a hint of the blue sky brightly lit far above you. It's a superb piece of abstract art- completely random and utterly beautiful. It's all super photogenic, and you'll be filling up your phone's memory double-plus quick as you shoot left and right as every time you turn a corner there will be new eye-catching scenery, waiting to be digitally saved for posterity. 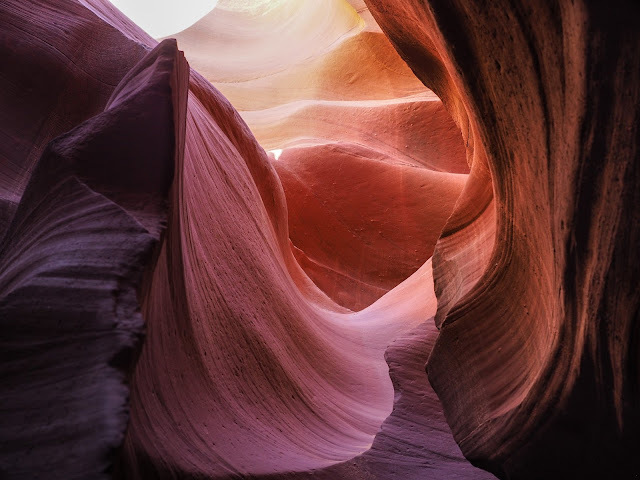 Lower Antelope Canyon is, of course, a canyon, which means it was made by a stream of water that cut through the desert's sandstone, creating the surreal shapes we see today. You're in the middle of the desert here, and on most days there is no water to be seen. As a matter of fact, when you arrive there is very little to be seen at all: the area just seems a dry river bed. But occasionally, when rain falls, the dry river turns into a wet stream, which disappears into a crack in the ground. 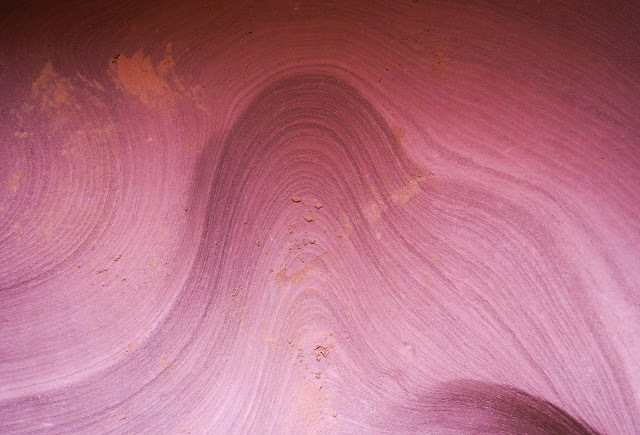 Over 1000s of years, these flash floods have created the bizarre sandstone shapes we see today. Note that nature hasn't stopped just because his is now a tourist attraction: the Canyon was closed the day before Minor Sights visited, due to rain in the area. Rain is not just a nuisance- it can be lethal, as the canyon is so narrow and steep that there is no way to escape a flash flood coming down the canyon floor. Antelope Canyon is a 10 minute drive from Page, Arizona, which is about 2 hrs driving from the Grand Canyon's South Rim. The only way to visit is to book a tour, and they do sell out, as there is a natural limit to the capacity of this very tight and narrow space! Fun fact: you're on Navajo territory here, and most, if not all, of the staff you'll interact with are Native Americans. 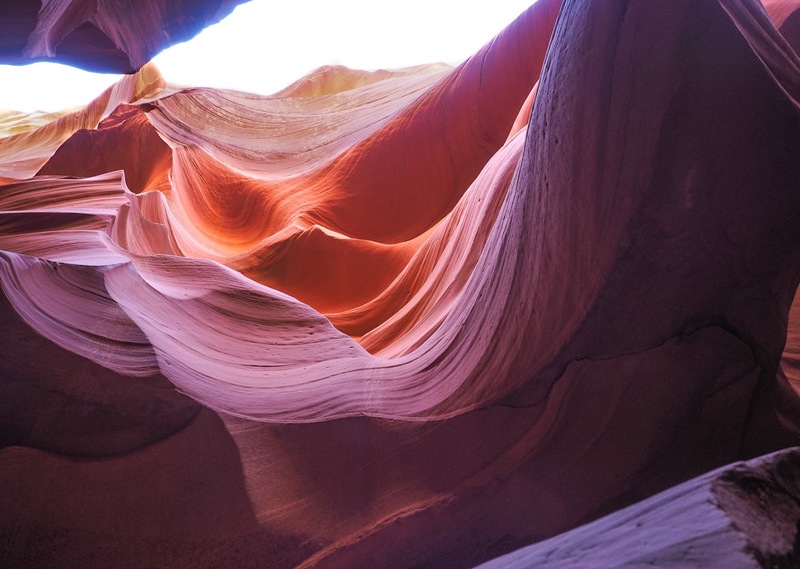 There's an Upper as well as Lower Antelope Canyon. The Lower Canyon is a bit more work, as it's deeper, requiring you to descend multiple steel ladders, and is not suited for small kids or those with limited mobility- or the morbidly obese, as you will be squeezing yourself through a few very tight spots. Needless to say, all these restrictions are exactly why we chose the Lower Canyon over the Upper one. There's only a handful of companies that has a permit to run tours here- it's a real oligopoly. We went with Dixie Ellis, and were very pleased. Tickets can be booked on their website. 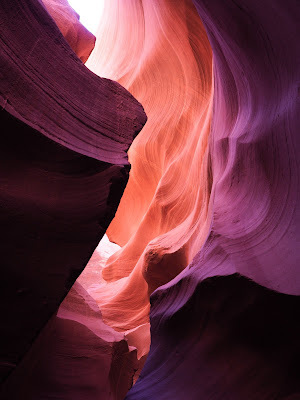 I went with my family to visit the Lower Antelope Canyon. Yes, the terrain can be steep. I am a big woman and have had a total knee operation. 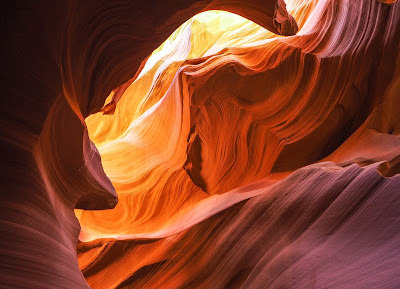 With that said, it is simply worth the time and effort to explore those beautiful canyons. That’s great, we’re glad you had a great time! Any other interesting sights in the area that you came across?